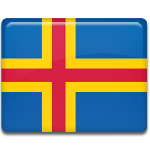 The Åland Islands were controlled by Sweden till the beginning of the 19th century. Under the Treaty of Fredrikshamn the territory of the islands ceded to Russia in 1809. The islands and other parts of Finland formed a semi-autonomous Grand Duchy of Finland. The islanders tried to reunite with Sweden after the fall of the Russian Empire, but when Finland gained its independence in December 1917, their right for self-determination was refused. This caused controversies between Åland and Finland, that became known as the Åland Crisis. The League of Nations made a decision, granting the Åland Islands autonomy within the boundaries of Finland, and Finland granted the islanders right to preserve Swedish language and culture. Autonomy Day, which is a public holiday, in the Åland Islands was established in memory of these events.